As an Executive Integration Coach, I leverage a variety of tools that will help us work together to move your leadership needle. Two of these tools are the Leadership 360 and The Culture Survey. We may use one or both; each engagement is built to fit your unique needs. The reason I have chosen these is due to the holistic approach of the tool. It gathers and aggregates data what help us to hone in on the best leverage point for our time together. As a result, it is looking at and integrating all of who you are as a person into your best version of a leader. The results I have been able to help leaders get to have been rapid and life-changing. To learn more, click here to download a detailed brochure of the Leadership Circle tools. • Do you have a newly promoted leader? • Disgruntled and vocal workforce? • Managing a team through change? • Need to improve metrics? 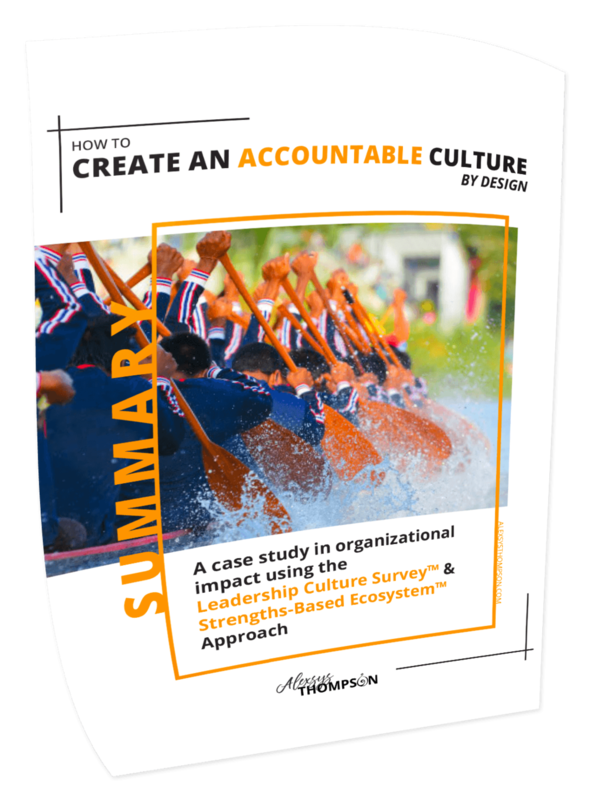 This is the story of a leader who took on the challenge of developing a culture by design to improve employee engagement, which resulted in better performance and increased revenue.